15 Songs Arranged for Solo Guitar in Standard Notation & Tablature. By Various. Guitar Solo. Folk, Standards. Softcover. With guitar tablature. 56 pages. 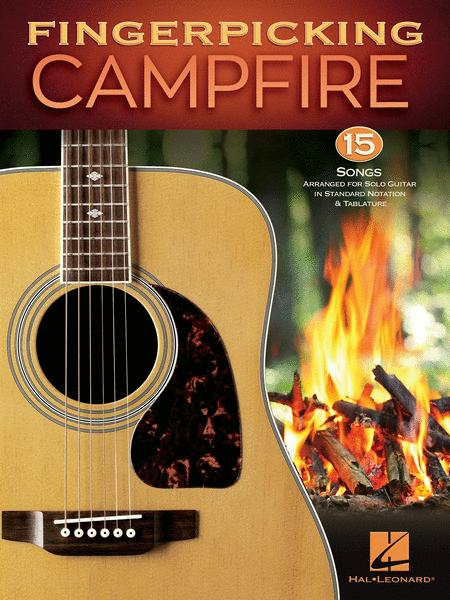 Published by Hal Leonard (HL.275964). Each solo in this collection has been written for intermediate level guitarists, combining melody and harmony in one superb fingerpicking arrangement. 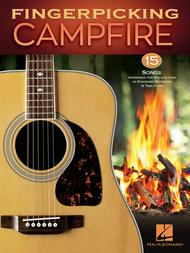 Includes an easy introduction to basic fingerstyle guitar. Songs include: Blowin' in the Wind (Bob Dylan) • Brown Eyed Girl (Van Morrison) • Catch the Wind (Donovan) • Five Hundred Miles (Peter, Paul & Mary) • Hallelujah (Jeff Buckley) • The House of the Rising Sun (The Animals) • I Walk the Line (Johnny Cash) • Leaving on a Jet Plane (John Denver) • Let It Be (The Beatles) • Peaceful Easy Feeling (The Eagles) • Puff the Magic Dragon (Peter, Paul & Mary) • Take Me Home, Country Roads (John Denver) • This Land Is Your Land (Woody Guthrie) • Wagon Wheel (Old Crow Medicine Show) • You Are My Sunshine.